One of the issues from my initial cockpit design was the joystick: it wasn't powerful, nor accurate enough. 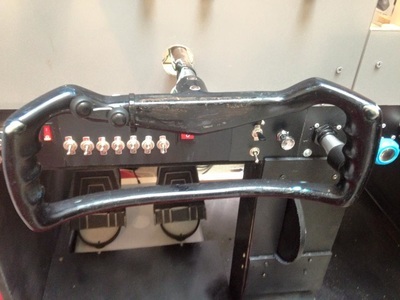 Plus, now that I wanted to create a Cessna 172 cockpit (because that's what I am learning to fly on), I realized that yokes, not joysticks are used in a Cessna 172. So, I needed to make a realistic yoke with powerful force feedback instead of my original joystick design..
To create a Force Feedback Yoke which would simulate control loading (stiffer controls at high speeds) and realistic elevator trim. 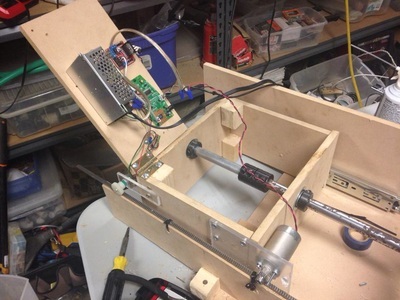 MDF, Power Transmission Parts (Shafts, Couplings, Gears), Drawer Slides, Potentiometers, H-Bridge Speed Controllers, DC Motors, a real Cessna yoke and a used force feedback joystick. I started by looking on Ebay for Cessna 172 Yokes, eventually settling on a pair for $40. The yokes had a diameter of 3/4 inch, so I looked for the appropriate power transmission parts online at McMaster-Carr. 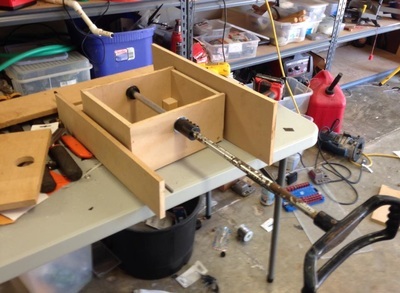 Once the mechanical parts arrived, I constructed the frame out of wood and drilled the appropriate holes for the ball bearings. I then ordered the controllers, power supplies and motors after more research. Once the motors arrived, I found that high gear ratio in one of the gearboxes made the motor too stiff. I then opened the gearbox, rearranged it and cut down one of the gears. For the force feedback electronics, I disassembled an old force feedback joystick and decreased the power mix applied to it. I then connected the motor outputs to 2 separate H bridges, which were powered by two separate power supplies, which in turn output to the motors. 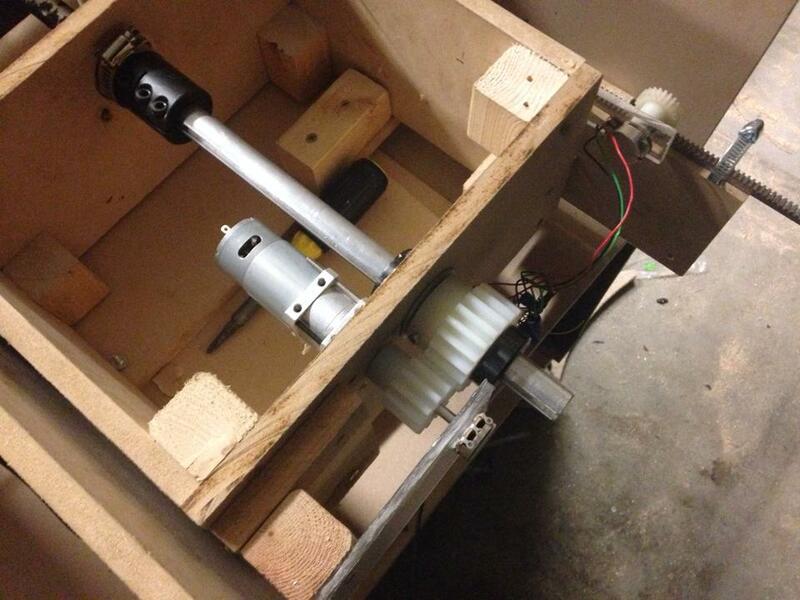 I mounted one potentiometer on the gear rack and another to the roll axis. ​The potentiometers returned values both back to the force feedback controller in order to calculate the necessary motor values and to an Arduino Mega which could take a more accurate reading. I then found a used Cessna 172 yoke for a very affordable price and attached that yoke to aluminum shaft. The shaft had a large gear on one end which connected to another gear, which then connected to a gear box and RS550 motor. This “block” slid on drawer sliders for the pitch axis. The whole block was moved by a motor attached to a gearbox attached to a gear rack.